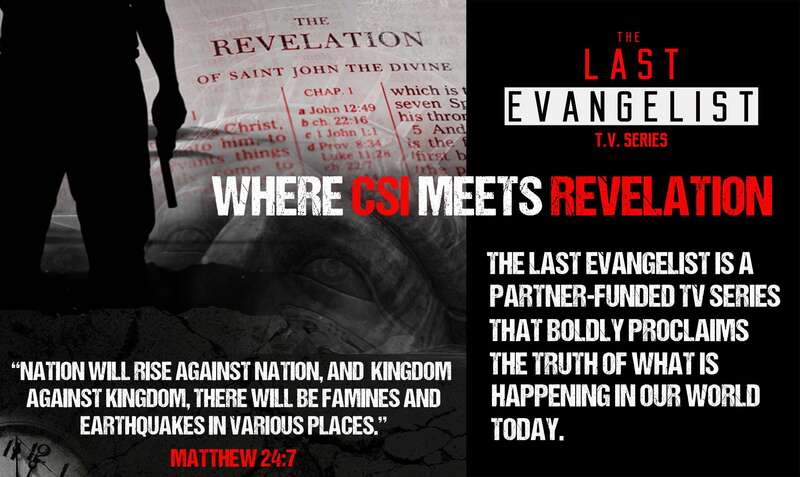 We are a Christ-centered ministry creating Truth-telling content through TV, film and David’s online interviews. We’re grateful for your partnership to battle the attacks of the enemy and spread the Gospel Truth. If you partner with us in prayer, email to let us know. Get the all new embroidered hat. Remember the impact of the series by receiving a poster signed by Director David Heavener. 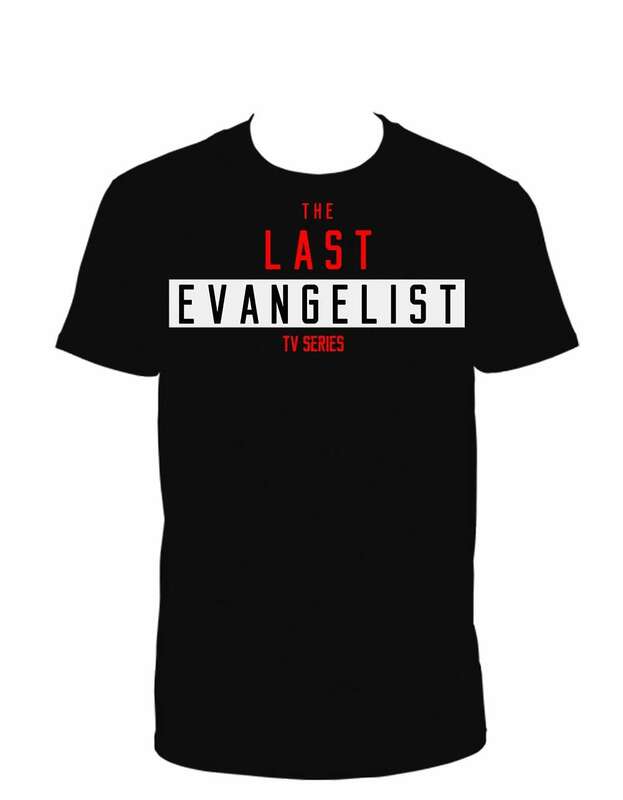 Share the Truth of the last evangelist by wearing a limited edition t-shirt + end screen credits. Get a limited edition look at what happens behind the camera by receiving a behind the scenes DVD + all the above. To show our appreciation for your support, you will be given a special thank you on the end-screen credit. Want to be involved in the series in a hands-on way> You’ll be receiving a background part in the series. Want to know what it takes to film a series? With this reward, you’ll have the unforgettable experience of being invited to watch the filming as a one day on set guest. 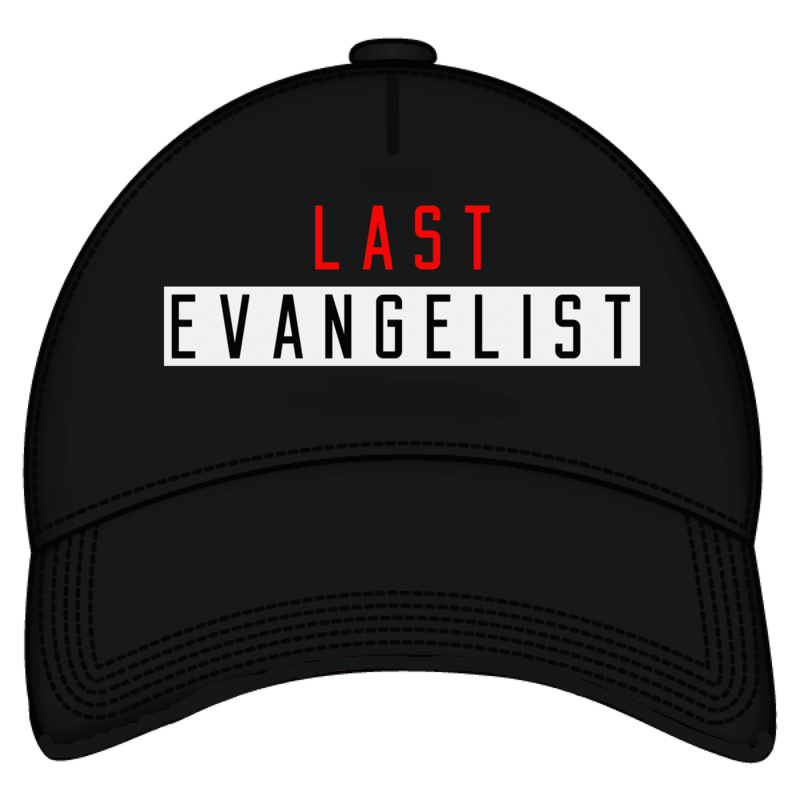 Join David, the cast, and our partners as you walk the red carpet at the official world premiere of the Last Evangelist! Includes all of the above. Join David, the cast, and our partners as you enjoy the official Academy-Award dinner. Includes all of the above. Have you ever wanted to be the producer of a TV series? Now is your chance to have the associate producer credit of this Truth telling series! All of the above included in this reward. Go a level higher and receive an Executive Producer credit. Comes with all the rewards above (excluding the Associate Producer credit). 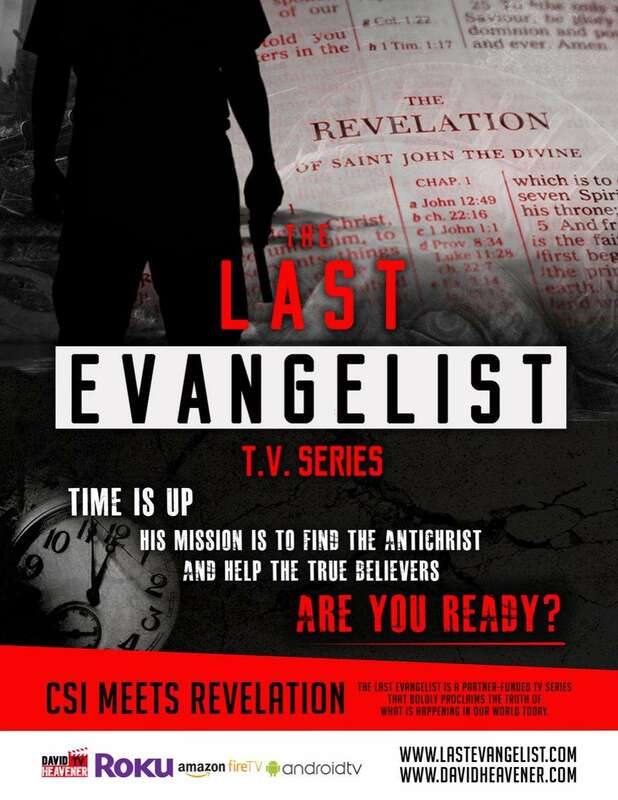 IN A WORLD WITH EXTREME GOVERNMENT CONTROL, MARK OF THE BEAST, PERSECUTION OF BELIEVERS, AND MORE FOLLOW FBI AGENT JON RHODES AS HE UNRAVELS THE PLANS OF THE ANTI-CHRIST AND BATTLES THE NEW WORLD ORDER. Jon Rhodes is a federal officer assigned to persecute Christians in underground churches – forcing them to take the Mark of the Beast – the chip. Then one night he has an encounter with God. Jon turns rogue, against the New World Order, and becomes a spiritual warrior in a battle to not only rescue the true believers but to witness to the deceived. Each episode is a cliff-hanger action thriller dealing with end times events – many of which are already happening in actuality today. Jon has turned rogue, against the New World Order, and becomes a spiritual warrior in a battle to not only rescue true believers, but to convert the lost. The Government passes a law that everyone must take the insertion or they won’t be able to buy anything, including food. Jon discovers Bookman has taken the insertion! He must now find out who is in charge of the insertion and how to dismantle that system before the girl he loves becomes more infiltrated and contaminated with New World thinking. Schools have rewritten the Bible to promote their one world agenda whereby brainwashing children. With Bookman’s assistance, Jon sets out to unveil the government’s operation. They are betrayed, however, by a family member; arrested and taken into custody. Jon is rescued by a gang of four young soldiers: Sully, who is beautiful but tough and her renegade warriors. They risk their lives to bring Jon to the safety of the true believers’ headquarters. Instead of taking refuge, though, Jon chooses to leave to attempt to rescue Bookman. As Jon departs, he inherits an unlikely sidekick, ambitious adventurous Sully, innocent in thinking but undaunted in drive. When Jon and Sully go undercover as federal agents, they discover the one world government has now outlawed cash; only those with the insertion can make purchases. While trying to hide the fact they don’t have the insertion, they befriend a 7-year old child with autism. As her mother dies in Jon’s arms, Jon and Sully are forced to make some serious decisions. Bookman is in federal prison only minutes away from being terminated by deep state for treason. As she is executed, something supernatural happens. She sees Jon coming to her! Is it real? Can it really be him?